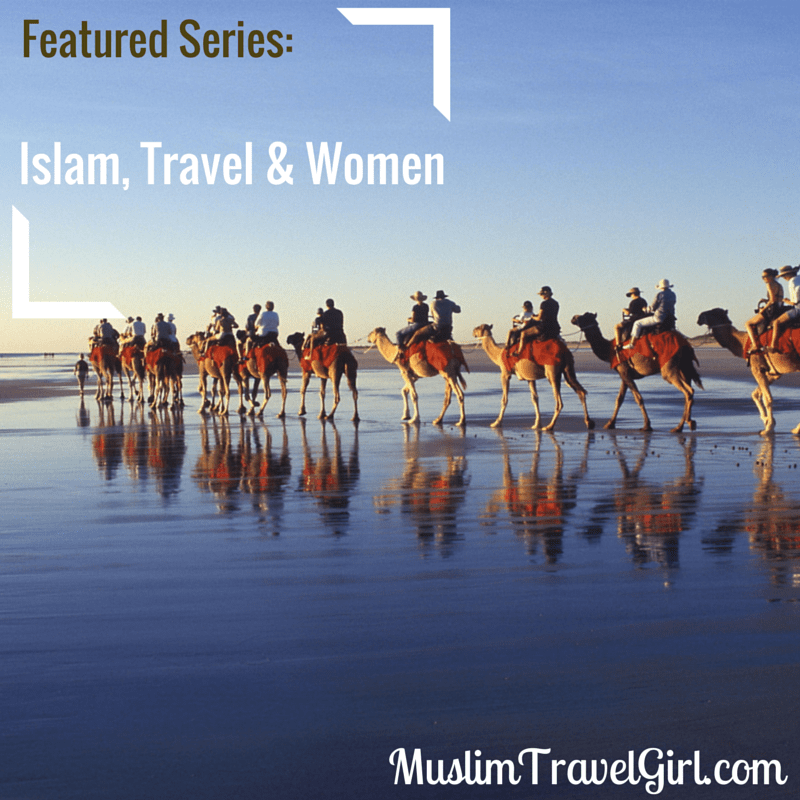 I do get some really interesting questions and I decided to answer two of them about women travelling and does Islam actually permit travel. While I am not a scholar for sure I will try to give some explanation on the above and hopefully you will find it educational. Are Muslims allowed to travel? Muslims are encouraged to travel and appreciate the creation of God. The Prophet peace be upon him actually encouraged people to seek knowledge as far as China, to broaden their horizons and experiences. He knew how important this is and how it can impact the society. Travelling around the world does encourage you to see things not only from your perspective but from the perspective of others and I believe you become more understanding and accepting this way. My favourite part of the Quran about travel is this verse..”… and made you into nations and tribes, that you may know one another. “-(Quran 49:13). This on it’s own can sum up the importance of travelling and appreciating the beauty. We are not born alone and we are not meant to be spending our lives cocooned in one place. Back then people travelled for months and months to seek knowledge, to experience different cultures and to spread the religion. Today we are really blessed that in less than 15hours we can fly from one side of the world to the other skipping pretty much all the dangerous places. Muslims can travel as long as they don’t forget their obligations some of which I mentioned in the article here about why Muslim traveller are different. Now I am not a scholar but women do need their mahram (protector) this is their father, husband, brother, son or uncle, in order to travel. I know this can be really hard for some people to understand but back then there were so many dangers you didn’t want to let a woman travel alone through the dessert. I definitely wouldn’t want this to happen to my daughter. Even today it can be quite dangerous for women in some places and it is good for them to feel secure and protected. That doesn’t mean that they can’t handle themselves of course. I have lived and travelled alone and nomatter how independent and confident I am I did feel that a presence of a mahram would have made my life easier. In todays world things are a little different, it doesn’t take you 3 months to cross from one country to another on a camel and many Muslim women do travel alone. You don’t encounter the samedangers, though many Muslim women still will prefer to only travel with their mahrams. This comes down to personal choice, need and strict following on the religion. I personally do travel alone when there is a need or when I visit my family, but I find it more fun to travel with my husband or friends. Just makes the whole trip more enjoyable. Do you think it’s ok for a girl to dorm at a college, keeping in mind that her company in the dorm would only be women? This is very personal and really depends on the family and how religious strict they are. I know for manny living at home is not an option if it is too far so dorms with other girls is there for that. So you have a mahram that you’ve done all your Ummrah and other travel with? Any tips for those of us who have no mahram (as a revert?) but want to to Ummrah or other travel? Sadly there is not much for girls without mahram for Umrah there are some agencies trying to do women-only trips, if this works i will inform you. I travel with and without my husband now and even before I get married.